Vintage luggage lovers should get themselves to The Pullman Gallery in London. 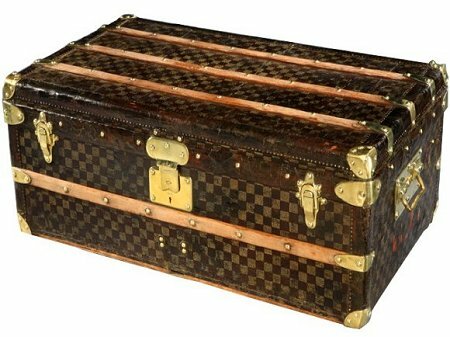 The British antiques dealer is selling a stunning Louis Vuitton Damier cabin trunk from 1890. The trunk is one of the earliest examples of Louis Vuitton luggage, as it was created less than 40 years after the Parisian company was founded. It hearkens back to the days when travel was for the upper echelons of society, and the well-heeled tourists always had an entourage on hand to carry their suitcases. The trunk features the rare Damier checkerboard pattern, antique brass handles and hardware, and wood and leather trim. It definitely doesn’t look its age, after being lovingly restored to its former glory. Priced at $11, 000, this is an item for serious collectors only. But as it's likely to be the only one of its kind in the world, that doesn't seem like a bad price to me.